High reliability has been FUJIFILM's objective ever since the development and release of magnetic tapes for computers in 1962. 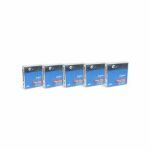 In pursuit of high capacity and reliability, FUJIFILM's Original ATOMM Technology is now applied to the FUJIFILM Data Cartridge Series mainly used in hard disc backups. Higher output, lower error rates and higher durability are now achieved in addition to the advantages from conventional technologies. The ATOMM Technology is applied to DDS DG4-150M and DG3-125 M.
In pursuit of lower error rates as a major requirement in tape performance, a super-smooth magnetic surface was developed, which eliminates errors originating in marginal losses in spacing to a head, which means great progress in the error rate characteristics. Thanks to the "New Super-Fine Metallix", the high-output magnetic component in the superfine-particle metal especially developed for computer media, all DDS models now feature a high stable output of +1.0 dB over the entire range of recording frequencies in comparison to a reference tape. 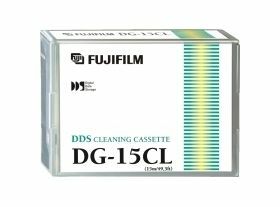 These are tapes that can be depended on for use with high-density recording systems. The newly-improved binder system in the three-dimensional mesh structure makes it possible to keep the magnetic particles dispersed more stably and uniformly. 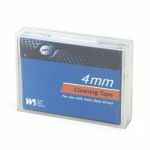 In addition, the clean-tape design minimizes increases in errors resulting from repeated use. This performance is the proof of our rich experience and advanced technology unequalled by other makers. The new mechanism permits complete locking using hubs when the device is not used, which prevents slack tape caused by impact, vibration and cartridge transportation. 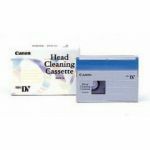 Reliability during handling and the transportation of cartridges is now greatly improved.